Time to dance! Tritonal are back with an energetic new single called Love U Right. The American Producing/DJ duo have enlisted the help of LA-based 17-year-old singer-songwriter Lourdiz to provide her lush, ethereal-like vocals to this gorgeous piece of EDM. I am loving the energy of this song packed with groovy synth works and percussion. It's a perfect song for the party weekend to come. Stream it below! If the great music wasn't enough Tritonal are giving proceeds of the song to a charity. 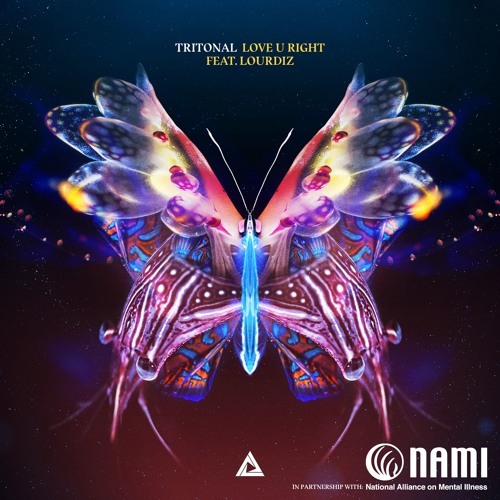 Tritonal will be donating all streaming royalties to NAMI (National Alliance on Mental Illness) who work to build better lives for the millions of Americans affected by mental health conditions. All you have to do is stream the song in order to donate.